Over the years, my experience with KDE can best be described as a rollercoaster – on ice, with rocket thrusters. 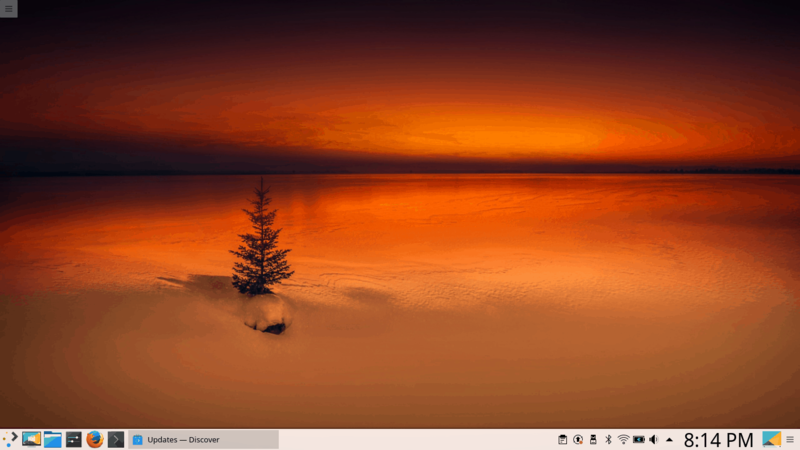 KDE3.5 was a great release, followed by a somewhat mellow, emotionally curbed KDE4, which took years blossoming, and then when it finally gained solid form, it was replaced with KDE5, or rather, Plasma 5. Since 2014, Plasma has kept me entertained and disappointed in equal measures. At some point, I had it crowned my favorite desktop, and then it went downhill steeply, fast, struggling to recover. Not helping was the slew of bugs and regressions across the distro space, which exacerbated the quality of Plasma and what it could show the world. Today, I would like to explore Plasma from a different angle. Not from the user perspective, but usability perspective. AKA Everything What Plasma Does. After me. Every experiment needs its guinea pig. I decided to use KDE neon User Edition, running Plasma 5.9.1 (rather than the LTS Plasma image). This build was created on February 9, so it’s fairly new and fresh and comes with all the goodies. I decided to go against unstable developer builds, as they do not reflect the end state. As you may have surmised from my Wayland vs Xorg article, I am not keen on the bleeding edge stuff that only half-works and caters to developers. 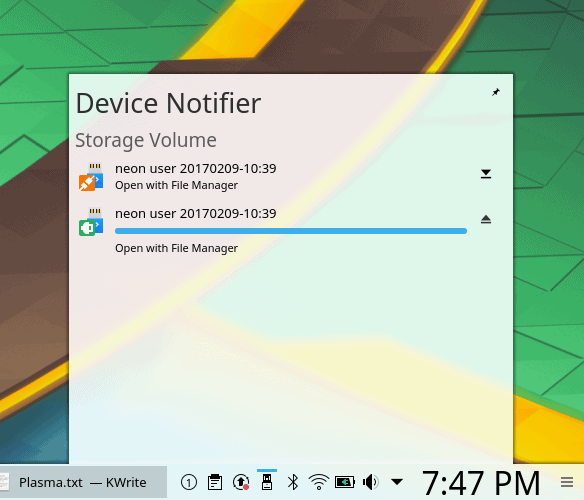 Why KDE neon, though, you may ask? The reason is, with the Ubuntu base, it probably offers the simplest platform for testing without going into deeper usability issues that are distro-specific. True, Ubuntu has its own foibles, but largely, they should not come to bear in the neon testing. That said, my previous impression with neon was neutral, with some ups and downs and a heap of bugs. But that is part of the usability experiment we will be running here. Most importantly, neon ships with the latest and greatest in the Plasma and Qt space. Plasma is a very nice desktop. Fresh, colorful – and pretty. You also get a sense that it is designed with flair and good attention to detail. It also follows the classic panel-down scheme, so it will be familiar to Windows people. Mouse actions are set to single-click by default, but this can be easily changed. Some KDE distributions, like Maui, do ship with the alternative setting. Make a wish, the Systems Settings menu has it all. You can go wild with options; everything is there, under a single, simple, coherent menu. 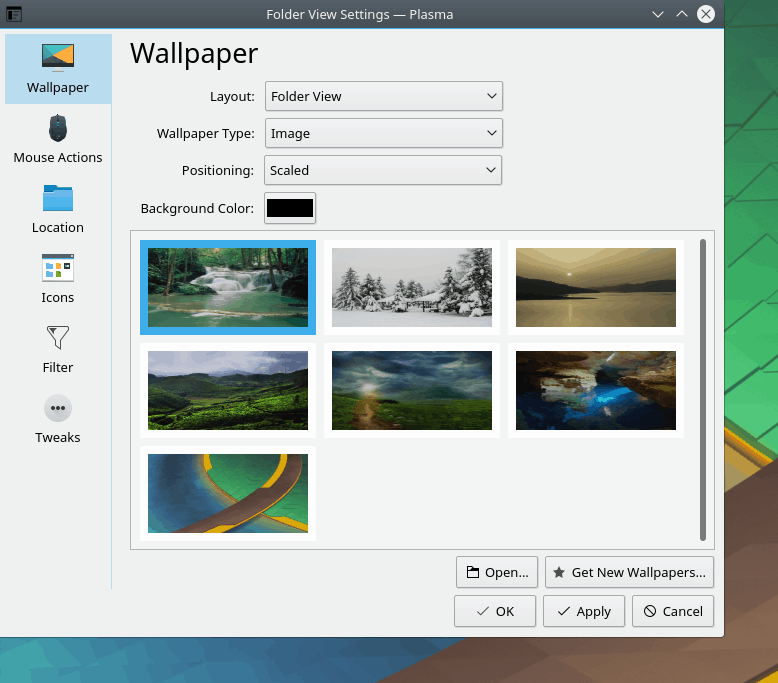 Plasma also retains some of the functionality that has disappeared from the Gnome-based systems recently, including trivial things like being able to create new files using right-click context in a file manager. This used to be something we once took for granted, but this isn’t the case anymore. Luckily, Plasma retains the tradition. It also features the most sophisticated clipboard in any Linux desktop environment that I have seen, used, or remember. Most importantly, it actually enticed me to use it, which is not something that clipboards and I normally share. Do you get it? SHARE! A beautiful and sophisticated clipboard. Sharing is caring. 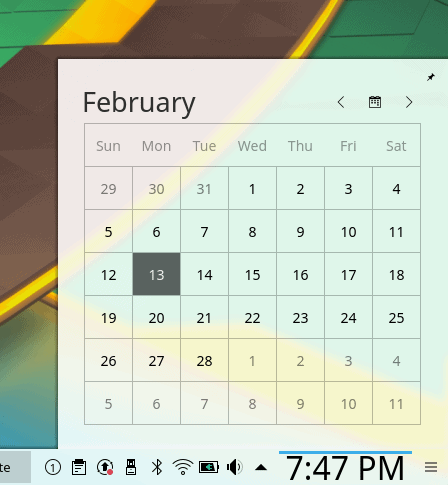 The calendar functionality is also quite decent – and adding new timezones is a breeze – another pun – but it would be nice if there was a deeper system-level integration somewhat akin to what Gnome does with online accounts and its repertoire of default Gnome applications. The calendar should reflect the mail activity and/or appointments, and the timezone functionality should natively play into this. Essential for any type of smartphone adventures, and these are underway, which you should know if you’ve read my interview with a couple of Plasma developers, Seb and Bhushan. There should be an integration with KMail and/or other programs, as well as an option to include online accounts; cross-functional data sharing will be of great importance, especially if and when Plasma breaks through on the mobile. Adding timezones is a charm. The top right corner is there to offer a rich desktop context menu, so if you’re not sure what you need to do, click there, and you will be able to quickly and easily customize your desktop. Part of the joy of using Plasma is the sheer level of freedom in editing the look & feel, all using the GUI and without any config hacks. Generally, there is a very high level of commonality and consistency throughout the system. Because an important part of any product is brand awareness. This does not necessarily come through marketing or ad campaigns, but through intuitive aesthetic form identification. In other words, how easy it is to recognize the whole by just looking at a small part, a piece, a seemingly insignificant detail, be it visual, aural or else. For instance, the old Nokia ringtone. Or perhaps the Windows XP blue decorations. If you choose any which square of the Plasma desktop and look at it, will you be able to distinguish it as such? In my opinion, I believe that Plasma nails the formula. 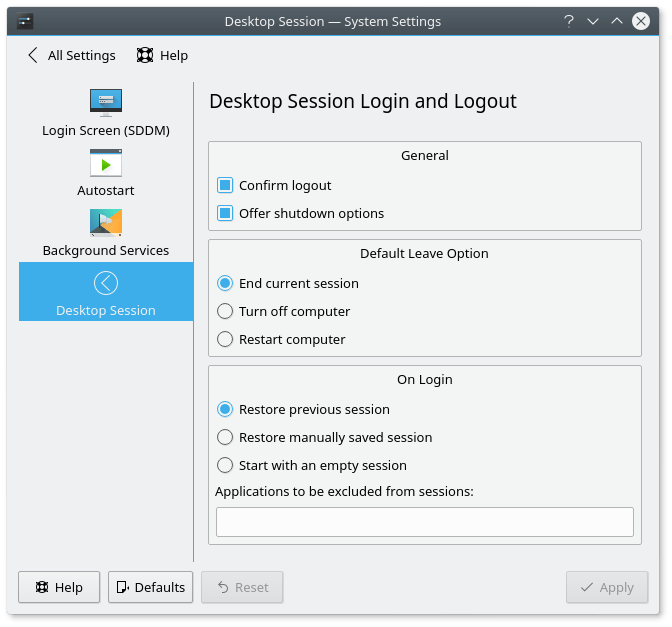 KDE neon also does a good job of offering a palpable session to new users, even in the live session. You get lots of apps, media codecs, so you can also test how your music works, and overall, you are not restricted in what you can do. 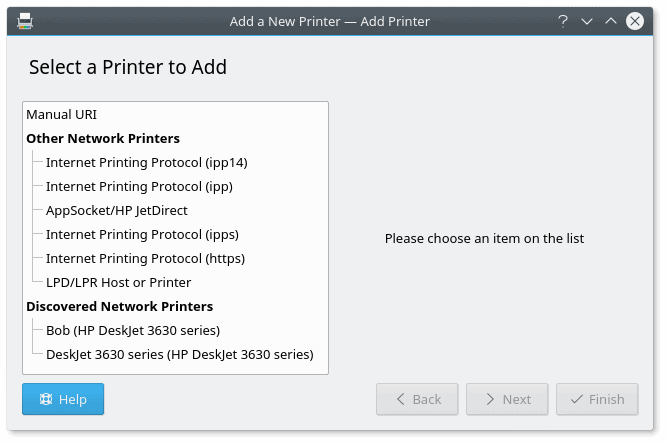 I was also able to configure my printer, and you can even install new software – or updates. Discover is definitely not the most polished package manager, but it is slowly improving, and it is beginning to offer reasonable results in Plasma. However, I am doing a usability test – so this will largely mean talking about things that work less well or can be improved, but we will also dwell on the strong side of Plasma, as it is not all negative. Far from it. If you ask me, Plasma is one of the more professional, complete open-source and Linux projects out there, and there’s definite focus on consistency, both in the looks and behavior, but this attempt does not always bear fruit, and there’s a long way to go before we can achieve perfection. This is apparent in the little things, the odd pixel here and there, the misaligned margin or padding, and unfortunately, there is no easy fix. Perfection is an asymptotic quality, and an exponentially growing effort is needed to master the finer details once the big stuff has been polished. One of the most glaring bugs is the brightness slider that opens when you click the power (battery) icon in the system area. The slider lever never quite touches the far right corner as it should, and there’s a tiny gap that leaves the impression there’s some more percentage left. Not so. I believe this can be very easily fixed by re-calibrating the slider values. Alas, it’s been around for a long time now, so either people don’t have my OCD attention to details, don’t care, or both. The slider should be in max right position with no gap left when the brightness is set to 100%. Some windows open at a rather odd default size, with less-than-full width of the drawn elements, which then truncates a portion of the window area to the right. There’s no automatic wrapping or rendering of window contents, so not only is the text hidden, but possibly vital parts and buttons of the GUI are not visible to the user. There should be a better use of proportions and sizes. The Activities window opens at a less-than-full width, hiding portions of the UI from the user unless horizontally scrolled, disrupting the work flow; furthermore, the slider is not aligned to the left margin of the window above, and the dividing blue line between the actions in the left sidebar and the main panel on the right does not have symmetric top and bottom margins; this is persistent across many different elements of the Plasma desktop. You may say consistent inconsistency, if you will. Another example of the blue line divider; if you compare the invisible top line defined by either the icons on the left or the title on the right with the blue line margin to the one at the bottom of the window, there is a 2px difference that breaks the symmetry. The default icon set is less than ideal – you get three different icon types – full squares, partial squares and circles, and they sure do not look pretty when stacked on the taskbar as application shortcuts. 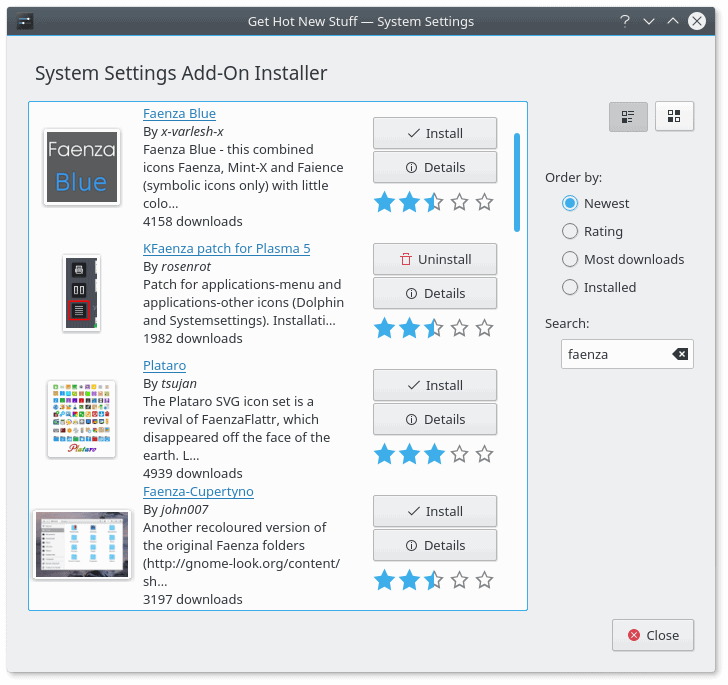 I was tempted to install Moka or Faenza, but decided against it in order to offer as genuine Plasma review as possible. 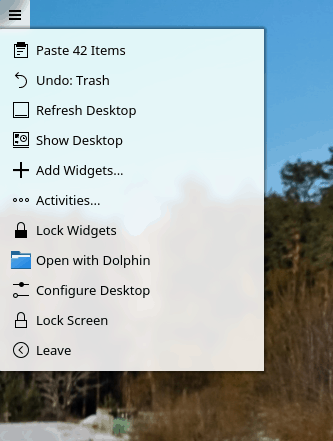 This is another tricky one – Show desktop is a widget, which you need to add – it is placed on the far right side, like any new icon you add to the taskbar; this isn’t an ideal configuration. The icon also looks too much like Spectacle. Lastly, if you click on it, it will minimize a single window application, and if there’s more than one, scatter them into screen corners. Not ideal. The system menu has a slight transparency – this can be distracting. More importantly, the menu entries are too small and too pale, so you may not immediately see what you’re looking for if you do not distinguish app entries by icon. The invocation is correctly done using the Super key. Notice the description text under each application text – hardly readable. 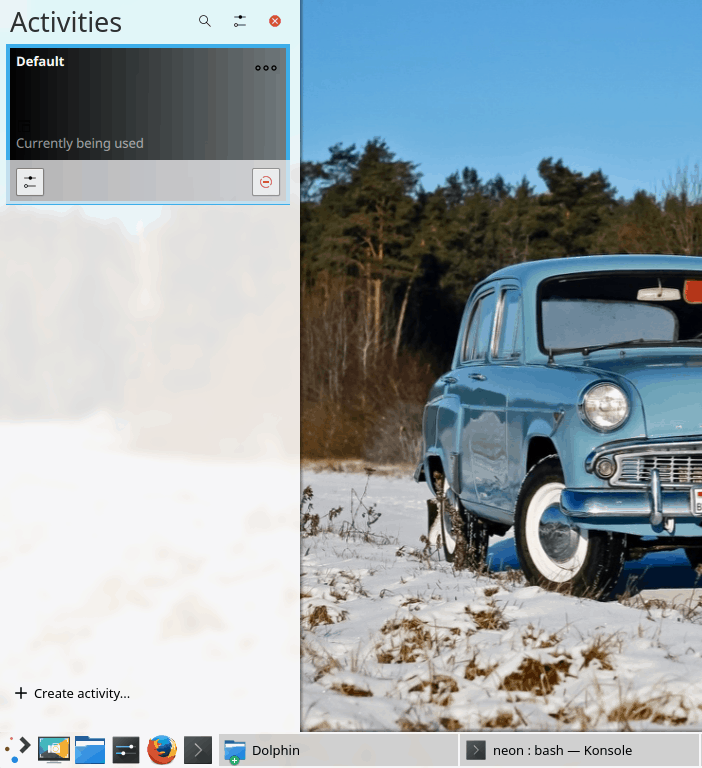 Under Windows Decorations, you can change the appearance of buttons. For some reason, the different buttons show on top of one another. This is probably a bug, but even if it’s not, it makes it rather difficult for users to fully appreciate the theme and how it behaves. The text and icons in the preview window overlay one another in a very ugly manner. In the system area, the icons are not equidistant, and additional spacing is required to create a common look. System area icons – the spacing is not equal in all cases. Plasma will show you what music you’re playing if you click the ‘live’ volume button in the system area – it changes from being the simple volume thing to a media thumb. It works well for multiple programs, alas, there’s a visual bug. The play button circle seems to have a slice of its pie misplaced by 1-2 px to the right. Notice the displacement, at 2 to 4 o’clock positions; I guess this comes from scaling objects at non-native resolutions, which ties into the wider constrast, visibility, readability, ergonomics discussion we’re having here. Un-minimize does not always work – and some of the programs will remain in the taskbar until you expand them manually via right-click. Likewise, if you apply new icon themes, they will not show up until log out and then log back into the session. This contrasts – and contradicts – the live theme preview and edit capabilities we’ve seen earlier. The most overlooked part of the Plasma desktop is the theme-icon-decorations management. Supposedly, it offers users a rich repertoire of colorful add-ons, without forcing them to wander around the Web and manually download themes and icons. Unfortunately, while the system does offer a unified interface, the functionality is fairly broken. Plasma does many things well, but it struggles with this one simple aspect of modern computing. If you wish to enrich your desktop with a new background – and use wallpapers that come outside the internal channels, you will need to add images one by one. This can be quite tedious. Then, you do not get live previews, which, again, is not in line with the overall Plasma consistency. Some of the themes (and icons) lead to external websites, meaning unnecessary manual downloads, others offer multiple downloads in strange forms (names, archives, code repos), with broken links, malformed URL and 404 missing content more often as not. Incompatible themes are also present and listed, and they won’t do much when installed, if at all. The Get New Stuff applet is fairly broken; a large number of themes and icons cannot be installed for a variety of reasons. After some quick testing, I estimate that about 30% of all themes and icons are not suitable for use, i.e. broken in some shape or form. You must visit a website to download the theme, which completely negates the purpose, advantage and simplicity of the built-in theme management mechanism. A rigorous cleanup is required, as this part of the system sheds a lot of negative light on the Plasma desktop, and it breaks the discipline and consistency that the core team is aiming for. A more structured approach is required, possibly one that mandates a certain file and folder hierarchy, hosting on KDE servers rather than external sources, and basic functionality checks to make sure the decorations can actually be used without breaking anything. We must talk some more about the music context menu in the system area. It works fine, but then, it can be improved. The thumb preview no longer allows volume levels to be changed, for instance. For that matter, Gnome does this better, simply by offering a more interactive experience, even though it comes through an extension rather than native behavior. This applet can definitely be improved by offering more choices to the user. By default, Amarok is not offered with neon, but it is one of the staple KDE programs. This media player has had a lot of ups and downs over the years. I installed it, to see how well it complements VLC as the music player. The overall playback functionality is nice, the same drawbacks as to the system integration apply here, plus when it starts, it throws a lot of errors on radio stations and channels that cannot be reached and indexed. This should be hidden from the user, or at least, presented in a nicer, less alarming way. Bookmarks in Dolphin are clunky – as there’s no simple way to add a new location through the menu; instead, you need to drag & drop the address bar string into the side pane, which can be tricky. 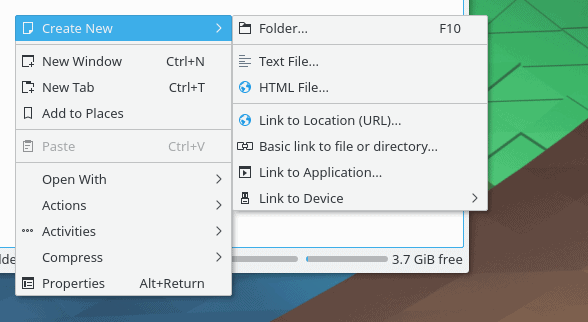 Since KDE file managers have always doubled as browsers, it should be very simple to allow for a basic bookmark functionality. Unless I’m missing something obvious. Plasma is rather intuitive and self-explanatory, but it is still a nerdy Linux thing, and then, there are some rather vague options and features. For instance, Activities. Are there any similar to what Gnome does? Are these just different desktop views? If so, what do they offer to the common user? Another inconsistency is that sometimes, the system menu sometimes display the application name and sometimes ‘Run X’. I am not 100% sure what the formula for this is, but it might be that before you run a program the first time, it will offer this option in a more meaningful way. Still, this can potentially be streamlined. Plasma also lists the bootable media as a removable device, which is a little bit of a self-defeating purpose when running in a live session. I would not expect to be given an option to try to accidentally eject media, even though the umount command underneath the GUI is going to fail doing this. These small things are not really important in the overall scheme, but they sure can change the perception of quality with users. For some reason, the bootable media from which the system is currently running is listed – twice. This is a long, protracted – and subjective – topic. 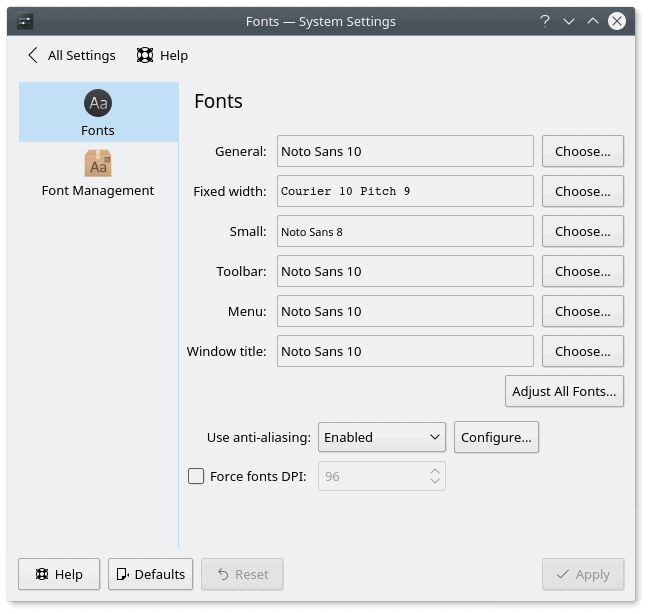 It’s part of my fonts saga, but it extends to the wider usability subject in Linux. Overall, most distributions – and desktop environments – do not offer optimal settings to its users. Largely, the desktop is sub-optimized for prolonged use, and you may experience reduced productivity and higher levels of fatigue as a result. We’re talking screen calibration, DPI, font hinting and anti-aliasing, the choice of fonts and font color, the contrast and color separation between active and inactive window elements and buttons, partly due to increased flatness, the contrast and color separation between text and background, text size, color palette, and other factors. The default Plasma configuration is decent – but not good enough. Breeze offers gray fonts on a subtle gray background, and these fonts may be one 1-2 points too small for the common user, and I’d like to make a clear distinction from the young developer who is the typical tester in this scenario. I know there’s a whole science behind this, but just contemplate on the following. Objects rendered on a 24-inch monitor with 1080p resolution viewed from a 50cm distance and objects rendered on a typical laptop screen (15.4 inches) with a resolution of 1366x768px and a viewing distance of about 75 cm should not have the same pixel size. Rather, they should have the same viewing surface relative to the observer (the user), and then age and vision play their part, too. A more optimal solution would be too use black fonts, to begin with. 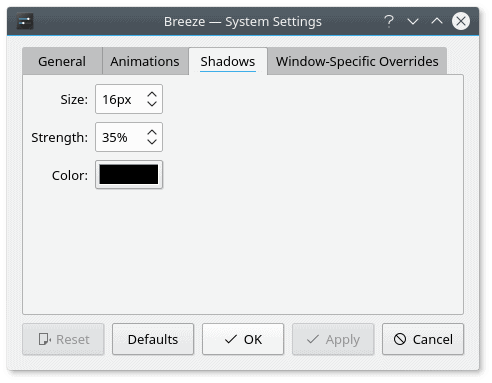 Using the magical powers of customization that Plasma offers – which we will discuss a bit later – I was able to tweak the Breeze theme. This is a great advantage of Plasma over other desktop environments. You can edit everything, and see the results in real-time, in almost all the cases. You can edit every aspect of how a theme behaves, including the color of each element; a live preview is available in the window top half. The customization can definitely take some time and patience, and there’s also an element of trial & error. Luckily, you can easily reset themes, save your work, or create new themes, which can be useful if you want to recreate a Plasma setup on another computer. Scheme edit: the simple option is to increase the contrast of shading, which can be important for flat themes with a minimal, monochromatic palette. Scheme edit: You can tweak the text color of any type, buttons, active and inactive elements. Default theme colors, gray text; pay attention to the preview element that reads ‘Normal text’. 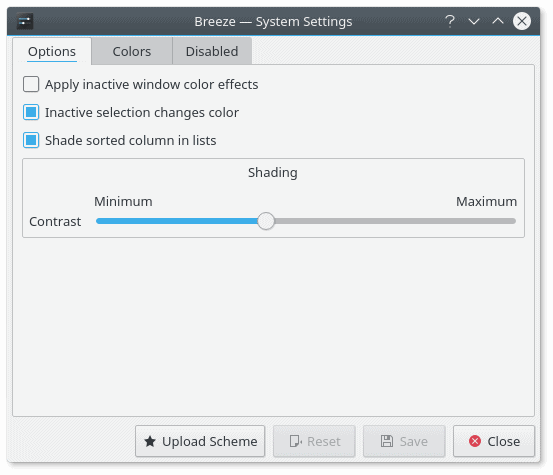 Edited Breeze theme with black text color. System Settings menu with black fonts – edited Breeze theme; better visual contrast aids productivity; even though the fonts are of the same type and size, and I have not changed the hinting nor the anti-aliasing options, the simple factor of using a darker font creates an impressing of thicker, more easily readable text. Spectacle (screenshot tool) example, with black fonts instead of the default Breeze scheme. On the plus side, the system has a rich palette of hinting and anti-aliasing options available, which you can manually set, or use the system defaults, which are pretty good, and do take into consideration additional factors, like the DPI and screen resolution. Font management is fairly solid, and you have enough control and granularity; the defaults are decent, but can be improved – size and font color for starters. Manual tweaks can easily gobble up time, and for most people, the default hinting and anti-aliasing options will be reasonable. 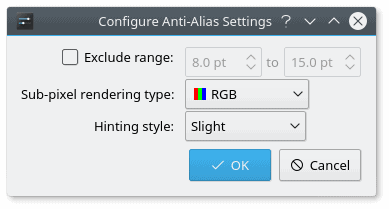 System default hinting and anti-aliasing options for fonts are pretty good; black font color is a manual tweak. 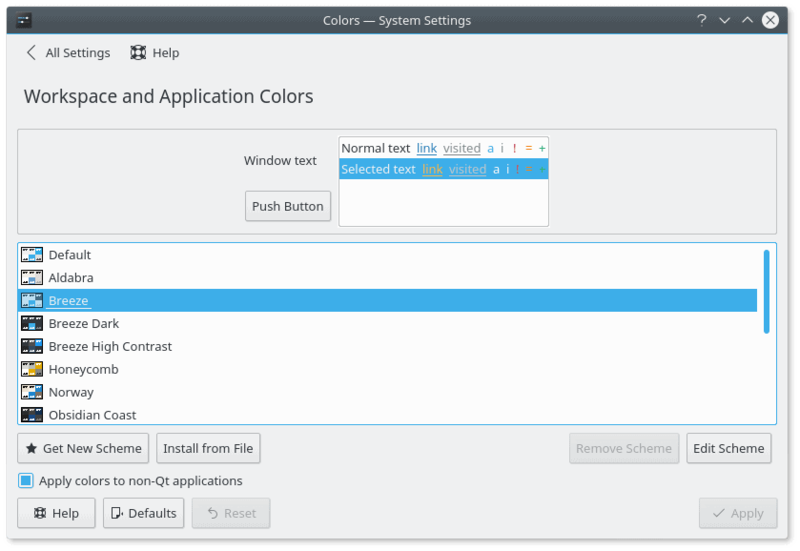 All the above said, the strong side of Plasma – and any KDE release – is the customization. You truly have the ability to tweak everything, using the GUI tools, mind. No need for hidden command line tricks, and you do not need to touch any configuration files. ‘Tis a double-edged sword, as any feature introduces its own penalty of visual clutter, complexity, UI flow, resources, and of course, QA checks needed to make sure that everything works tip top. The default theme is fairly decent and complete, and usually, it does not require any big changes. However, if you are interested, you can go pretty deep and make amendments as you see fit. It does take several steps to tweak the theme, as you have separate sub-menus for the theme, colors, fonts, icons, and window decorations. 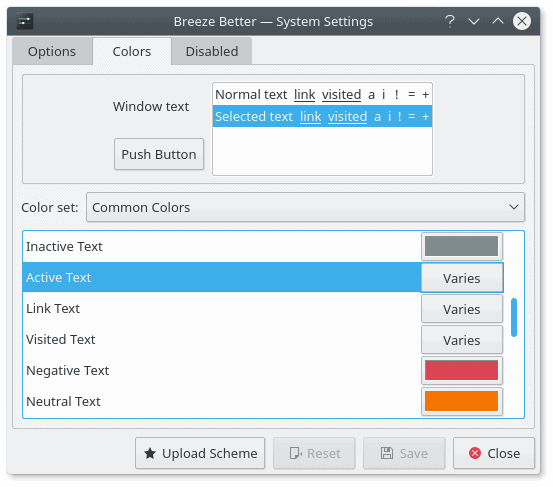 The default set only includes the standard Breeze decorations and the legacy KDE3.5 Plastik set, but you can easily install new stuff (provided the themes are not broken or missing), and then tweak the fine details as you see fit; this can sometimes be overwhelming and definitely time-consuming; you can edit the decorations by clicking on the non-intuitive square button in the left bottom corner of the previewed theme in the right pane. You can go as minute-detail as editing the alpha transparency, the thickness and the color of shadows for each selected window decorations theme, on top of the existing desktop theme. You can also edit the panel/taskbar, but there are better alternatives out there. Re-shuffling the icons cannot be done with a drag & drop unless you’re in Edit mode, and the height is set by sliding the panel up or down rather than using a number. 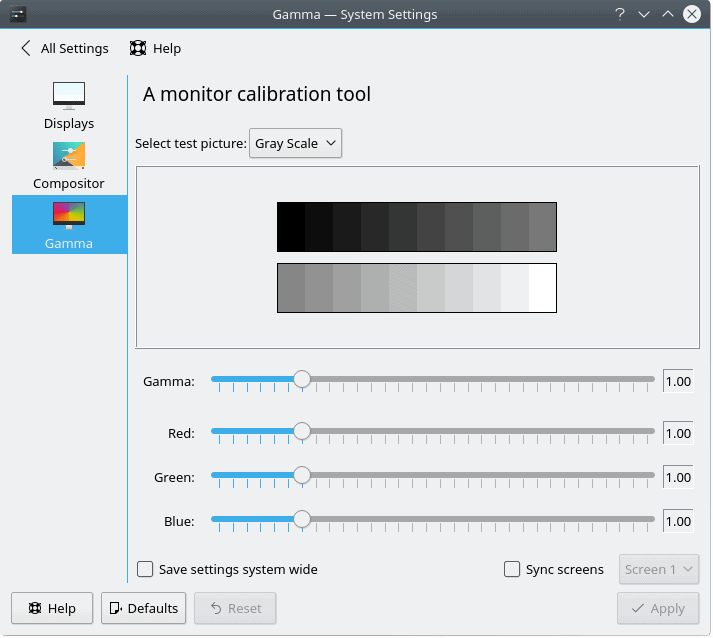 I am definitely pleased with the fact Plasma offers a professional-level screen calibration tool. My experience with other desktop environments shows that Plasma is in a definite lead over the rivals, and this can further enhance our ability to enjoy work – and achieve higher productivity. This may be very important for you if you work with images, plus the correct color settings can further improve your productivity and reduce fatigue. The customization is definitely not limited to just the look & feel. You can literally tune everything, including some arcane options the likes of Audio CD MP3 encoder, compositor settings for desktop effects, and so much more. Again, this requires time, patience and knowledge, but it’s there, fully available for your fun and games. 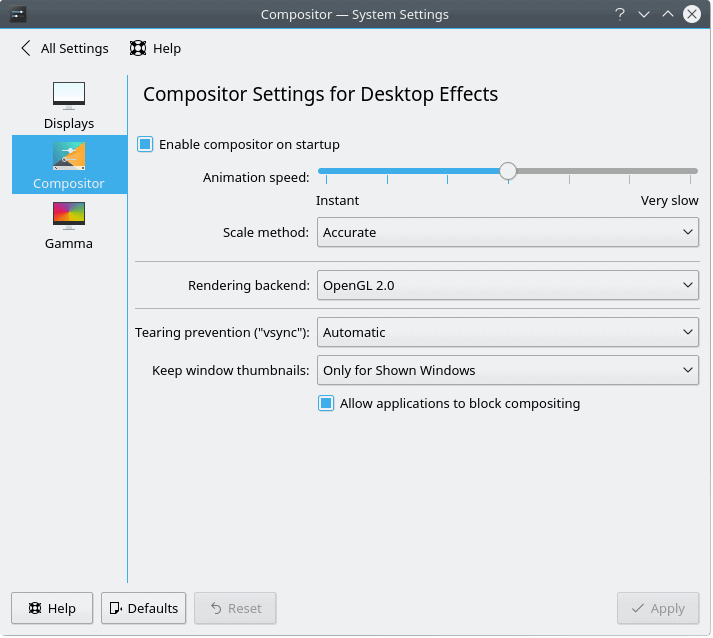 Changing the compositor and desktop effects settings may affect the performance and responsiveness of your desktop. There’s something for everyone, if they are brave enough to search. Mentioning Microsoft in a Linux-related product review always causes a bit of a stir, but we cannot ignore the 90% desktop install base, nor the fact most people will be using Windows in some form or another and may require a level of sharing with their other boxes and systems. Being able to provide a seamless experience in this space can be an important selling point a differentiating factor of professionalism. This is done with a limited amount of success and/or quality today. The first obstacle is that copying files to Samba shares does not preserve timestamps. This is a small and silly thing, but it is also so very easily remediable that it looks strange we have this bug in 2017. But copying files through Dolphin is only the beginning. The problem becomes more prevalent when you try to access media stored on Samba shares. You will not be able to play media files directly off of these drives, as you won’t have the right credentials stores. I did discuss this in my VLC & SMB guide, but the issue is bigger than just feeding some username & password strings into a media player options window. VLC may not be a default part of the software installation – it is not a part of the Plasma suite, to begin with, moreover, the option is limited to a single username & password combination, so if you have more than one share, this trick won’t work. The problem also affects other media software, including Dragon, so there is definitely a missing implementation in Plasma. If we compare to Gnome or Unity or perhaps Xfce or Cinnamon, this issue does not exist. 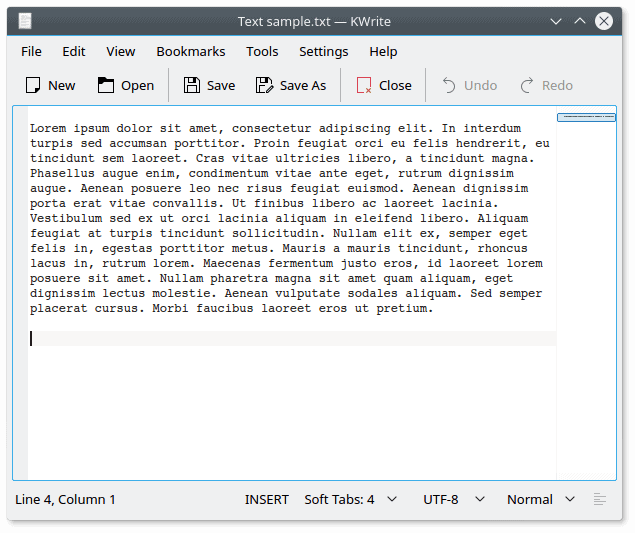 Notice the truncated title at the less-than-100% window width; the utility launches this way, and there’s no auto-text-wrap or scaling; at the very least, the UI should auto-resize internal elements based on the windows size, or at least, open at full normalized width so that all the text is correctly displayed. Plasma does have an option to provide default credentials through the systems settings menu, but here, we encounter two new problems. One, a single string pair is possible, which brings us back to the earlier issue, and two, the GUI launches at a default width that truncates the title in a rather inelegant fashion, similar to the Activities tool, as we’ve seen before. 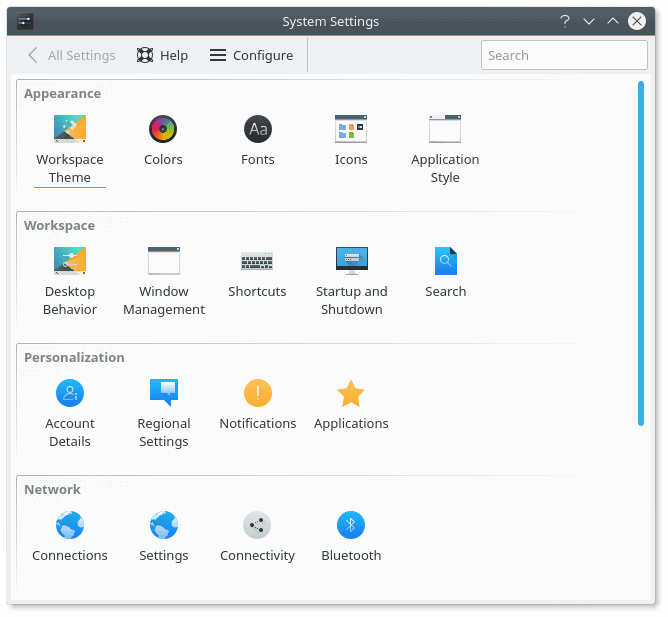 Lastly, in its pure form, KDE neon User Edition 5.9.1 was behaving quite well, and I did not experience any stability issues, be they applications hangs or freezes, weird crashes, or anything after suspend & resume. True, these are also quite hardware-dependent, but given my long record of testing on the Lenovo G50 machine, I am quite impressed. The network bug is there, but it is no way specifically related to how Plasma behaves, so we can fully and safely ignore that. All in all, Plasma was working well, smoothly, elegantly, and with a level of crispness and maturity that I was not expecting. 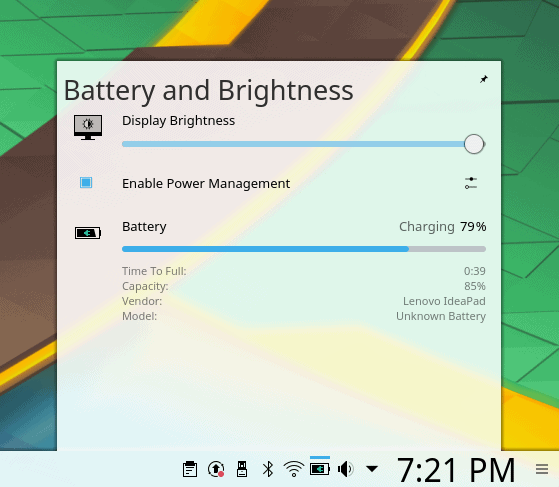 I do have to say I am surprised by the quality of the Plasma 5.9.1 release. 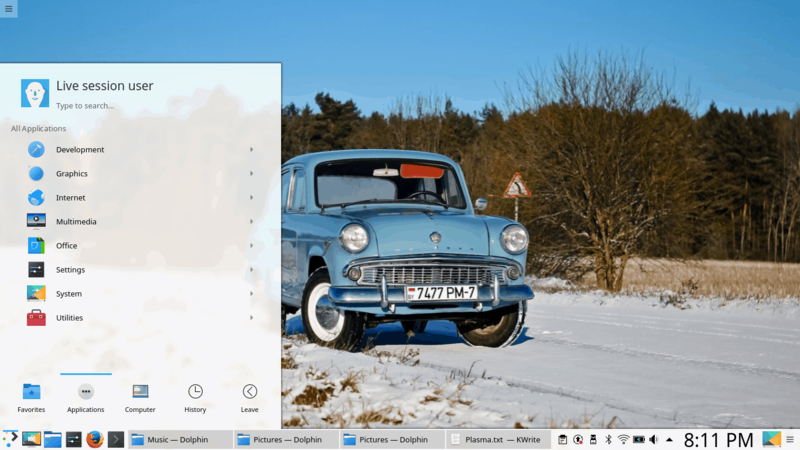 It does pack a very decent aesthetic and functional punch, and KDE neon showcases the capabilities of this desktop environment in a smooth, calm, almost underwhelming way. However, Plasma is not perfect. There are tons of little bugs and issues everywhere, which will require a lot of focus, dedication, hard discipline, and tight timelines to polish, fix and test. In a way, the labor that must be invested in this type of work is probably equal to raw development, but it is the fine foam that separates a plebeian shot of espresso from artisan coffee. My other big fear is that Plasma will finally reach a level of steadfastness sometime later this year, and then, it will no longer be interesting, and Qt6 will come out, and we will start the cycle all over again, without ever benefiting from stability and quality for any sustained period. This ailment affects pretty much all and every open-source project, and concepts and ideas are being reinvented ad infinitum, without really embracing the past, learning from old mistakes, or actually improving on the user experience. 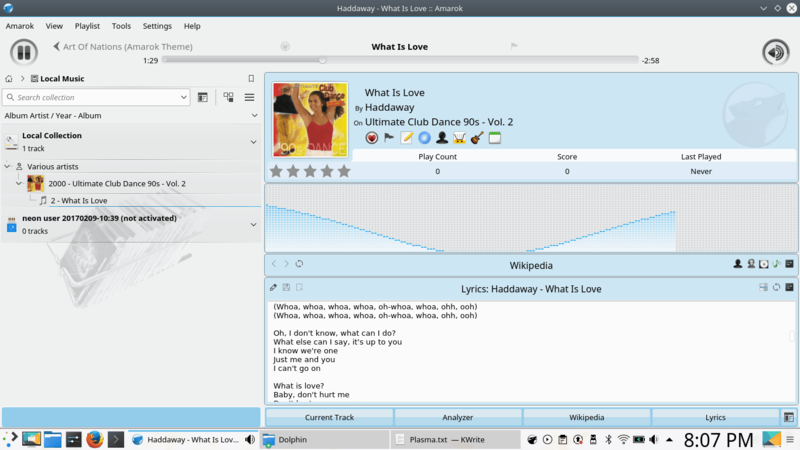 Technically, KDE4 could have been a great product, but we never got to see it in its best form. It went away just as it got good – and boring. Plasma has the potential to be the real glue that connects all the different pieces of the Linux desktop. It approaches the problem with more savvy than most other projects, it is well established, it has gone out of the survival mode, but then, the cohesive energy is still missing. And I believe the magic formula lies in the finest of fine details, in the 1-2px misalignment and other tiny inconsistencies that few people consciously notice, but they do subliminally reject, as we are naturally tuned to see perfection in everything we see and use. Plasma is not there just yet, and if my review today is any indication of the state of things, there’s a whole lot more that needs to be done. With every passing year, my skepticism into the reign of Linux desktop diminishes more and more, but then, after a couple of days like this, the hope sparks again. Let’s indeed hope it won’t be killed by nothing more than a whimsical transition toward something than is newer and more glamorous. Because usability is all about simplicity and intuitiveness of form, and that’s a kind of magic very few have captured in the software world. To be continued, in one form or another. See you around. Nice review, I was totally looking for such a usability POV impressions, both on kde and gnome! I found the first one, hoping to see the latter some day! I liked the article, and appreciate the knowledgable critique. Have you taken these points up with the Plasma developers in any way? Mailing list, bug report, IRC, or what have you? Or perhaps have you received any feedback from the plasma development team? I think they could benefit from an informed critique such as this. Not only with regard to specific fine points, but to bring awareness to the devs that they should be paying attention to these sorts of design details. Like color choices, contrast, symmetry, etc. I guess I am saying that I liked the read, but really want to know that the Plasma devs are reading things like this. Hello, nope, I have not taken it with the devs. But I believe this information will have been seen by the right parties. Filing these as individual bugs is not scalable. This is a full-time job for half a dozen QA people and software validation testers, and it is not a glamorous part of the software development cycle, to be sure. That play button displacement must be a graphics driver issue, it’s a perfectly fine circle on all four machines I have access to at the moment (different intel and radeon graphic chips). I concur, but could it also be an issue with KDE Neon? I don’t see the artifact on Manjaro KDE, or Linux Mint KDE (intel graphics). Quite possible, but then, it’s all part of the perfection game. Media Controller developer here, I have seen that rendering glitch in the play button sometimes in various forms but could never reproduce it reliably on my machine, might be a rounding issue. I just pushed a change to Plasma 5.9.3 which hopefully fixes it. As for the volume slider, it was a conscious decision, I actually played with the thought multiple times. However, I don’t know where to place it in order not to overload the widget and to avoid confusion with the seek slider. You can change application volume in the volume applet, so I don’t see a need for a slider here. If we train people to know “everything related to volume is in volume applet”, there won’t be any surprises. Also, just like with Gnome, there’s alternative media control applets on the KDE Store, except that we have a simple one shipped by default and I intend to keep it simple. The idea behind rich widgets is that they entice users to use them. If someone decides they want to interact through the widget, it should offer functionality that is comparable to the native app, otherwise they will not be inclined to use it. Training people is not a good idea. It means the UI is not intuitive enough. 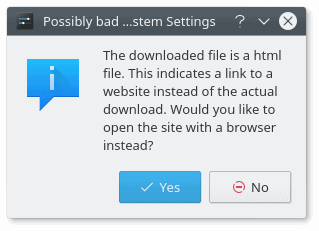 My main problem is the even more problematic GUI of a lot of KDE applications. Plasma has improved fast. In contrast, too much applications lag years behind. The clock font can be changed, which can make the numbers appear smaller. I like the fact that the clock font is larger than “normal”, because I pay attention to time and its passage. Nice review! Re: Wallpapers – you can use the type “Slideshow”, and then add a whole folder of pictures at once, rather than one image at a time. 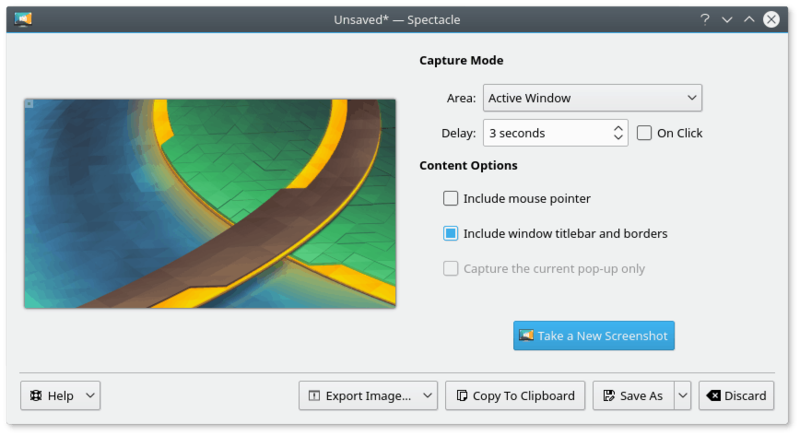 The Slideshow “interface” allows you to change the wallpaper on a timed basis, up to 24 hours; you can also right-mouse-click on the desktop to choose the “next” wallpaper, if you are unhappy with the current one. 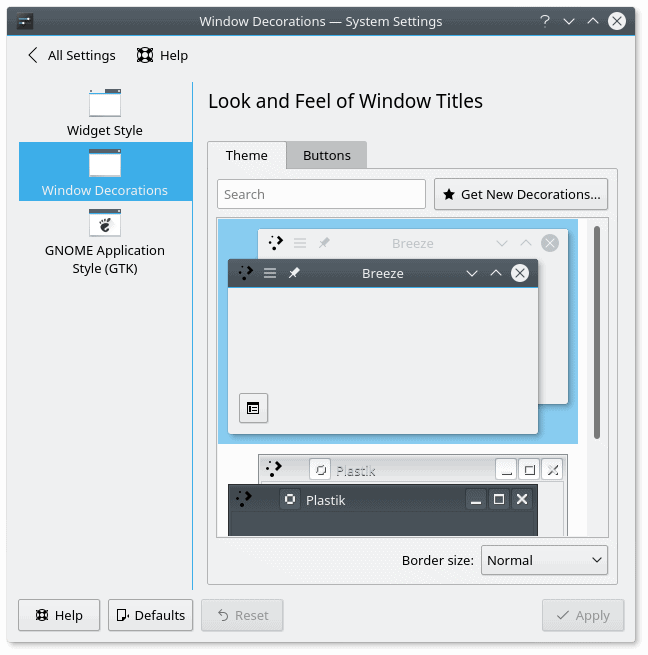 In general, I like the “tweakiness” of KDE, although I usually have to do a fair amount of searching in Google, to find hints on how to change a particular aspect of the DE. Great although a bit overwhelming review (because of its size and the details that most users don’t notice). As to ‘Show Desktop’ widget, it’s bad. Luckily, we have identically looking ‘Minimize All” widget that does the job. Unfortunately the first widget is easier to find and thus confusing users. I would move it to optional download and stick with Minimize All as the main system one. Thank you Dedo for taking your time and making such a comprehensive review. Your thoughts line up with mine almost exactly. 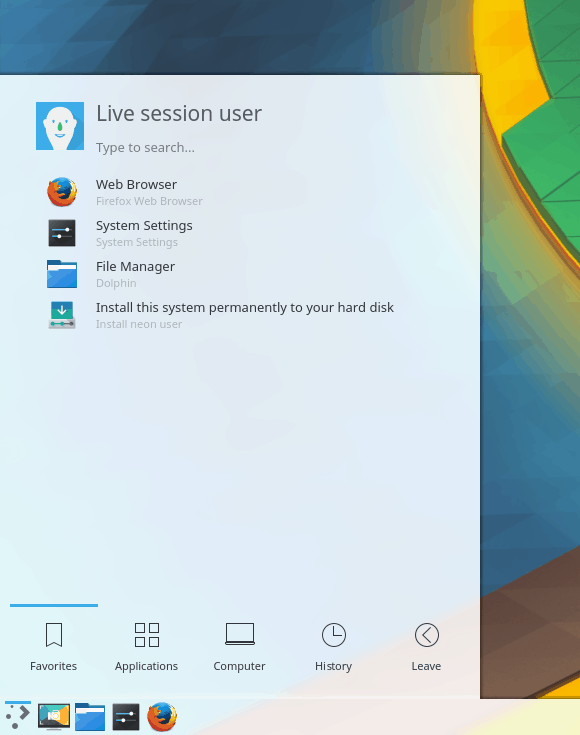 I had been a longtime user of KDE4, now using Plasma 5 and unfortunately, many of the same flaws and inconsistencies carried over. 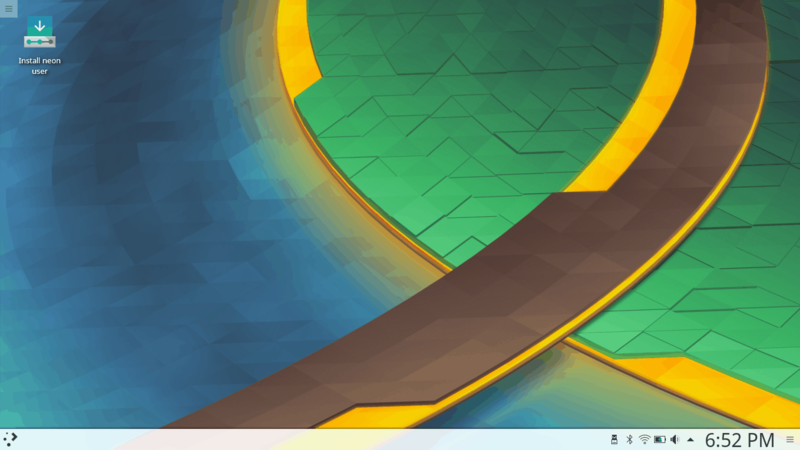 It is clear that there is a lot of hard work behind Plasma 5 and I also want to thank the KDE team for their effort, if any of them read this (I do donate money sometimes as well :)). I feel that if these ‘little’ issues were fixed, many people would be more comfortable giving KDE a chance, because the potential is sky-high. I know people at work that were looking to use Plasma 5 as their main daily DE, but were turned off. Some tried customizing the session with new themes, but as we know, a lot of them don’t work or won’t even install. It seems like a small thing, but for some people, that can be a reason to choose a different DE instead (cinnamon seems to be quite popular). I almost wish, that the devs turned off the ability to download new themes and decorations until it is cleaned up (if it ever will be), because it really is annoying. Or maybe just create one ore two like Unity? The ‘smart’ placement of new windows in my opinion is also lacking, often times it will open windows somewhere that I don’t expect it; it is very hard to explain, but it just feels ‘unnatural’. And there are of course the strange bugs, like when the system asks for wi-fi password twice. 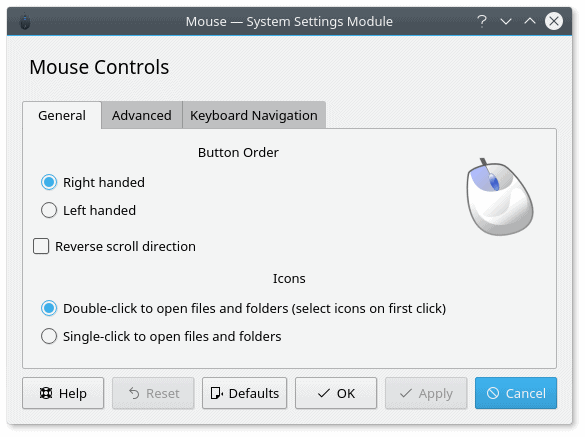 It feels like this has been there forever, hasn’t anyone from the KDE team ever asked why this is needed? 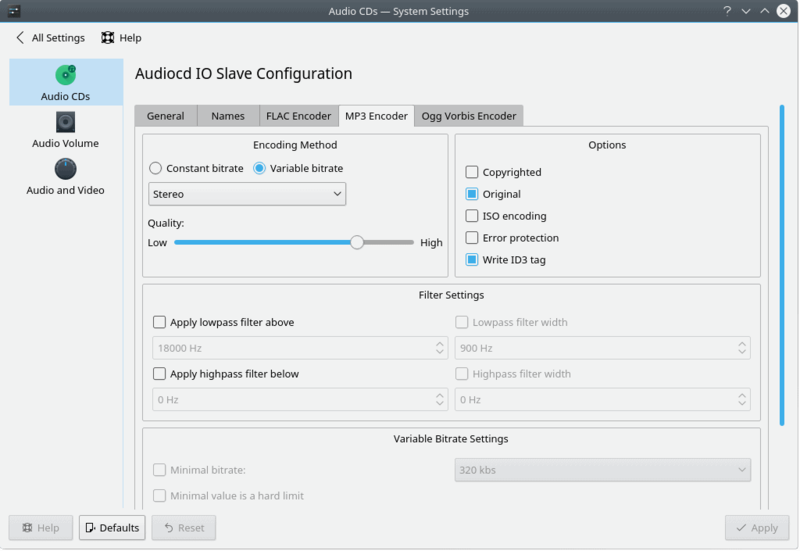 I do not want to rehash what Dedo already wrote, except to say, that if these things were fixed, it would go a long way towards making feel KDE like a top-notch product, and I think the usage would go up. It feels good to know that I am not crazy, that other people see this as well. PS: Does anyone know how to make the taskbar ‘thumnails’ or whatever to call it smaller? I do not want to get rid of them, but they are just so huge.. I am using primarily MATE – but only for one reason: I have to setup my desktop quite often and using KDE takes me too much time if at the end the distro is too wobbly. 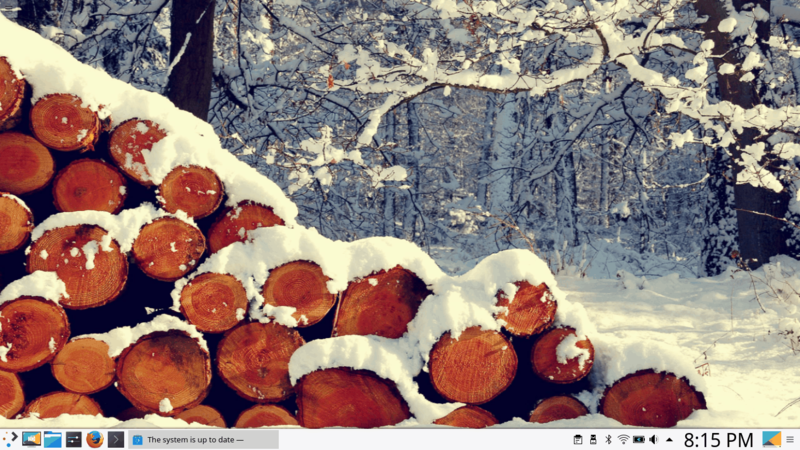 But in general I see KDE as the best desktop in the Linux world. I had some great years with KDE 4 which worked fast and stable for me. I always enjoyed the options to customize the desktop 100% to my requirements. Alone the fact that KDE can restore the desktop to the status it had before it got shut-down is a huge time-saver and typical for the great features of KDE. Also the fact that I can configure each application window individually (e.g. its size, position and behavior) is computing at its best. Unfortunately KDE was let down during the last two years by sloppy implementations. I am looking forward to the day where a distro offers a robust KDE implementation which justifies the time to customize KDE en detail. If you ever screw some settings, create a new user, add yourself to his group, allow his folder for group modification and use default configs from there if needed (I had to do that once I messed my graphical settings so they were causing crashes). Printing in KDE is a disaster! 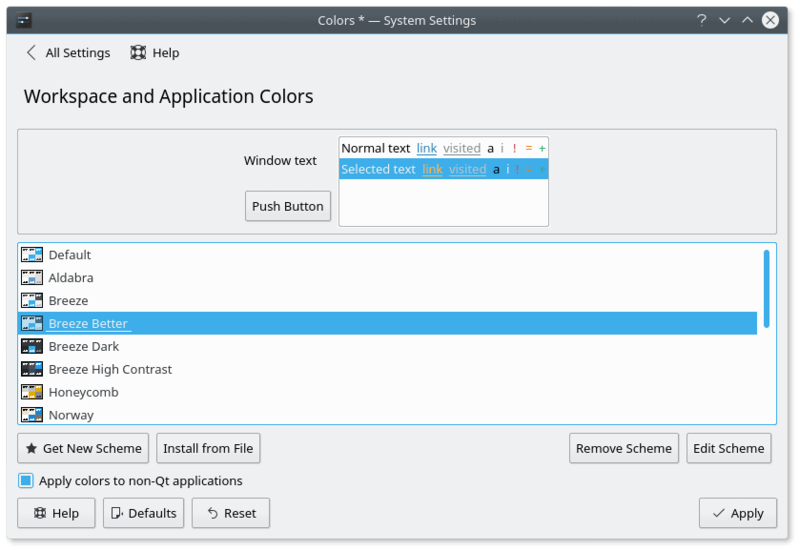 No advanced print options in the dialog for Qt based KDE apps. SAD! Sure there is. It depends on the printer driver, however. 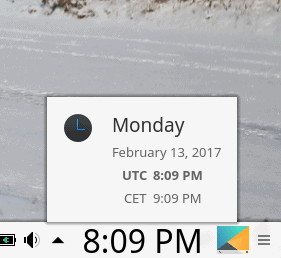 The clock/calendar widget does integrate with PIM, but you have to install the PIM software, such as KOrganizer. I have it installed and synced with google calendar, and all my appointments show up in the panel widget which is really nice. The wallpaper thing is annoying but you can symlink your favorite wallpaper folders to the system folder and they’ll all show up automatically in the settings. You hit everyone one of my pet problems. The issues around not wrapping text or scaling windows is a particularly annoying one. Try changing the font size (I always bump mine up 1 or 2 points) and it all gets worse. And don’t get me started on gray fonts on white backgrounds. I’ve been using KDE since it first came out and loyally stuck by when 4.0 came out and people misunderstood its purpose, but there are times when the little things make me wonder is there something better out there? I’m still here though. I just hope the developers pay attention. Dedoimedo has a serious eye for detail. There are many that went completely under my radar. Now that they have been brought to my attention it’s all I notice. Thanks for that. Seriously, I hope the developers are tuning in to your observations because doing so would make things better for all users of Linux. 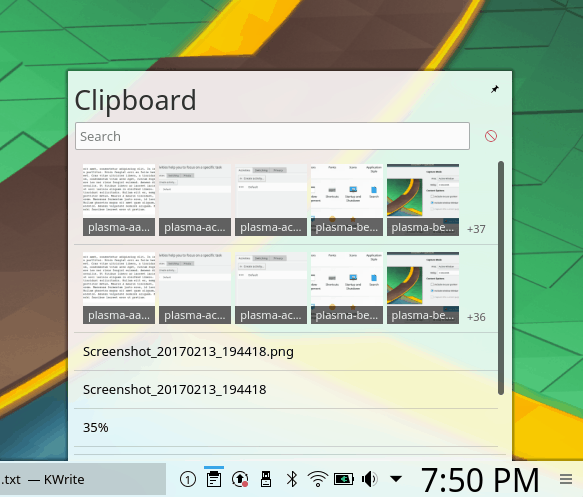 It would appear that KDE’s developers have taken notice because Plasma development has really been on point as of late. I have stayed with Neon since the Awful Aardvark Kubuntu disaster. It continues to improve and is among the finest Plasma distributions I have used. So far Neon 18.04 has been close to perfection. openSUSE Krypton has also been a pleasant surprise. Discover remains somewhat of an enigma, however. It continues to get better and is even starting to look the part but still manages to fall a little short. 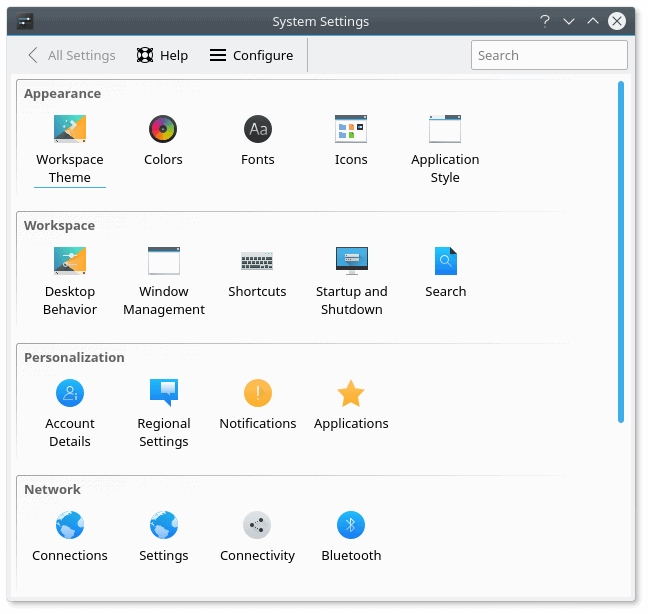 The KDE Plasma developers might consider taking a page out of Deepin 5.x’s playbook on software management, or App Stores. They obviously took a page from Plasma on bringing the bling but keeping the resource footprint small. Performance-wise, Plasma rivals the lightweights. Resource usage keeps going down while bringing some serious bling. A feat Deepin 15.8 managed as well. Neon and Deepin 15.8 are the two distributions I now use the most. Both are great and I have had no issues to speak of. I think one of the reasons Deepin 15.x has become such a quality distro is because it is geared for the consumer and development follows that mantra. It is designed and developed to be a consumer desktop operating system to replace the proprietary offerings. Plasma has what it takes to be that and more. It offers a complete (or close to it) desktop experience but a few of the little quirks and annoyances continue to persist and it no longer makes much sense. 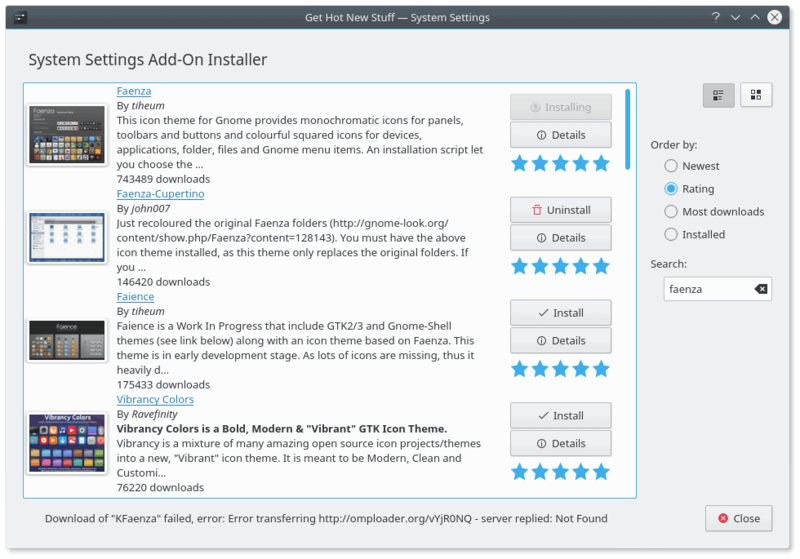 It isn’t just with Plasma, it also applies to some of KDE’s staple software offerings. The issues with Spectacle are a perfect example. KDE Plasma and its software are fairly consistent across the board but need to be even more so. Consistency is the name of the game in today’s day and age and it is vital. Plasma is so close to nailing it on all fronts but maybe they should spend a little time devoted to the details alone and bring the magnificent work they have already done closer to the perfection it deserves. It’s already the most advanced and beautiful open source project of its kind and I look forward to seeing what comes next.